Alfonso Cuaròn’s Gravity recently burst past the 500 million-dollar mark at the worldwide box office and is one of the frontrunners for Best Picture and Best Director at the 2014 Academy Awards. 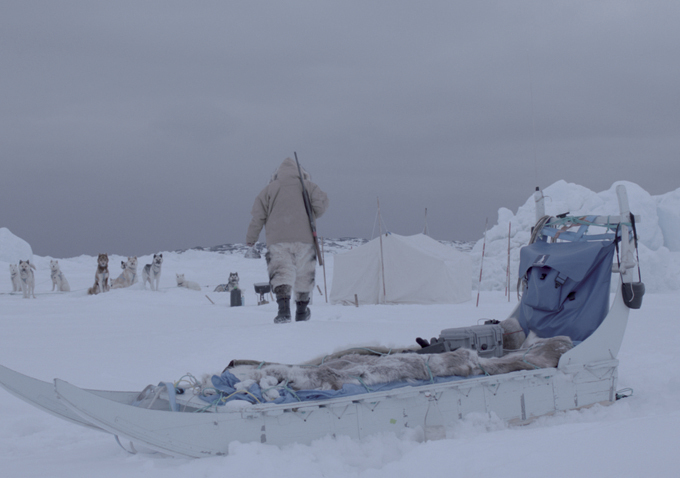 Well as it turns out, Cuaròn’s son Jonas filmed a short tie-in entitled Aningaaq. The short runs narratively concurrently to the scene in Gravity in which Ryan (Sandra Bullock) makes contact with Earth only for everything to be lost in translation. It’s a nice short, which Warner Bros. will be submitting for consideration for the Best Short Academy Award. Good year for the Cuaròns.